Benchmark integration allows you to create highly converting attractive popups with your Benchmark forms inside. Enlarge your subscribers&apos; list in Benchmark, right through a compact popup on your site. How to get the Benchmark embed code? In the Signup Forms section of your Benchmark dashboard, you can see all your forms. 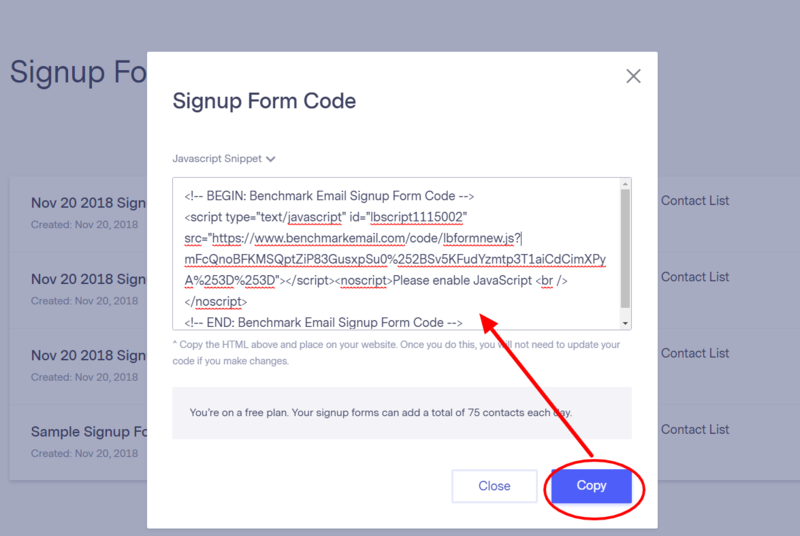 Choose the one you need and click "Get code" with the more options bar of the form. 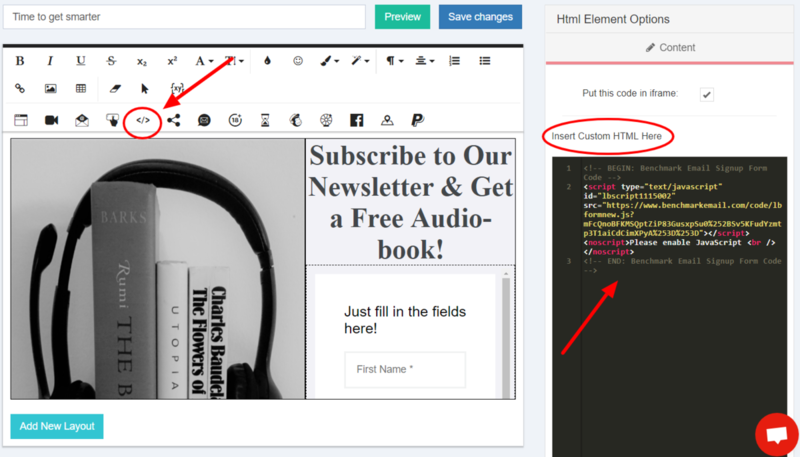 The HTML editor will appear on the right side of the page, paste the embed code of the Benchmark form here.